It is the time of year when friends and family are bustling getting ready for the holidays and New Year. Dining out with friends, holiday parties, baking and eating are top of the list. It's the time of year when gifts abound. An early gift arrived at our door on Saturday - a Screech Owl box for the Villas. I told Harvey that I heard one whinnying and then saw one fly across the street. That's all he needed. I hung it in the yard. We will wait to see if an owl finds it appealing. Thanks Harvey! 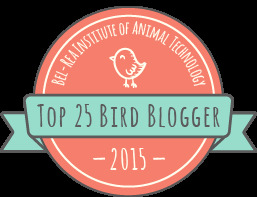 And, its the time of year when the Audubon organizes the annual Christmas Bird Count or CBC. I have participated in the CBC for the past few years - mostly counting in Norristown and Pennypack. This year, Paul Guris asked if I could help out in Cape May. Of course I obliged. Not only did I say yes, but I roped Harvey into it too. HA. That'll teach him to be nice to me. Harvey and I covered the area around Two Mile Landing and Wildwood Crest. Nothing exciting but it had to be counted. 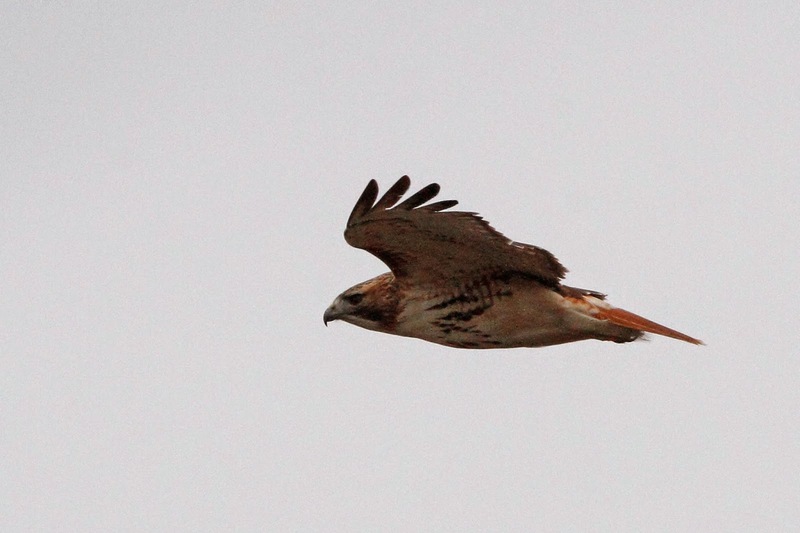 A surprising number of raptors were in our area. 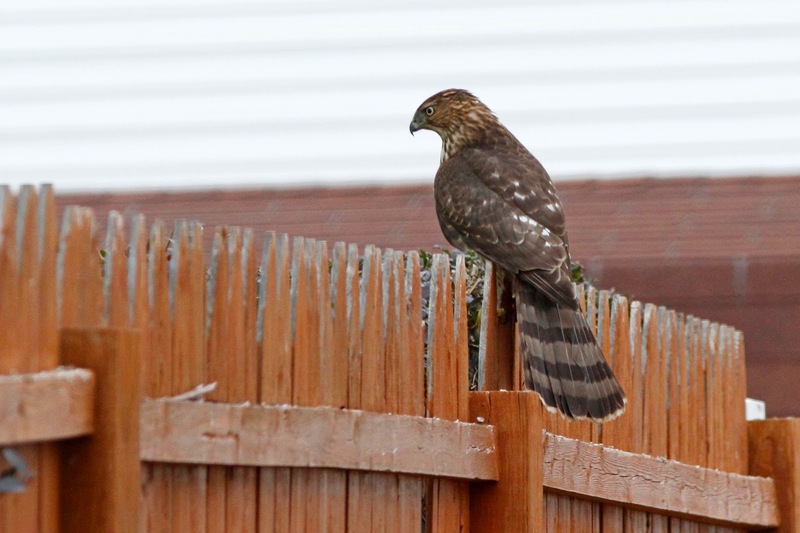 this is one of about 5 Cooper's Hawks that we counted. This gal was hunting birds in a bush on the other side of the fence. Just goes to prove - good fences don't always make good neighbors after all. She was unsuccessful in her hunt but put on a good show. This Red-tailed Hawk soared into view very low and landed in a nearby shrub. We saw a few others too. 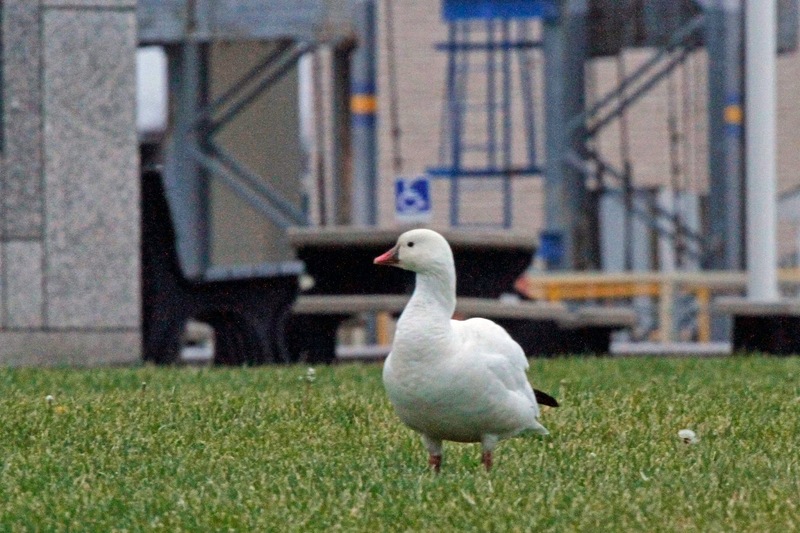 There are a pair of Ross' Geese hanging around the Cape May - Lewes Ferry Terminal that I had to see. The terminal is not part of our area, but I just had to make a detour to see these diminutive geese up close. The only other Ross' Goose that I have seen was waaaaaaaayyyyyy out in a field amongst a flock of other geese (Stupid Contest chasing). These geese are practically tame. It is a shame that it was overcast which makes the photo not so great but look how cute. We couldn't take Roxy on the count since we were on the Coast Guard base for part of the day so we quit the count and took her for a nice walk at Cox Hall Creek in the afternoon. 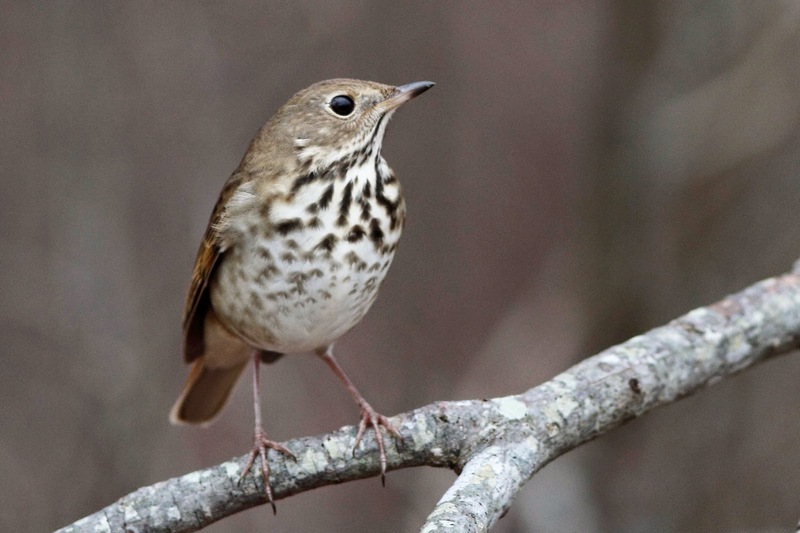 This Hermit Thrush just sat there while we walked by. Almost like it wanted us to take a photo. I obliged. Here is a cropped photo. 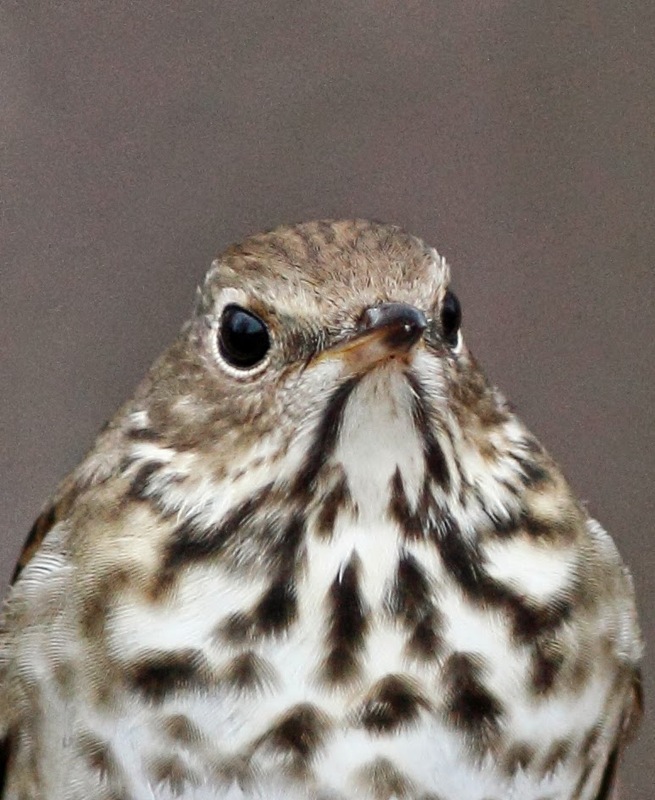 If thrushes use FaceBook, he/she should use this as the head shot. I'll be doing the Pennypack CBC this coming Saturday. Join me if you can.